VIDEO: Confidence! 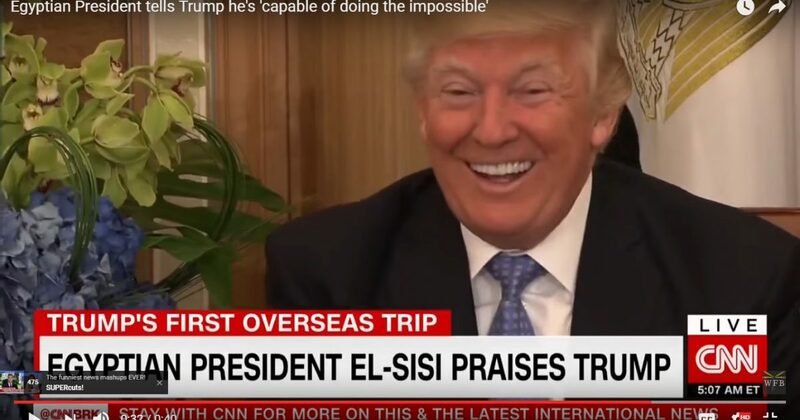 Egyptian President praises President Trump, whose two-word response was epic! Meeting yesterday with Egyptian President Abdel Fattah al-Sisi in Riyadh, Saudi Arabia, President Trump had all in attendance chuckling at his two-word uber-confident reply to a compliment paid him by al-Sisi. President Trump smiled and replied, “I agree,” which left all in the room chuckling.